street address entered in the system. We would like email address and street address entered in the system so we can contact you. With emails it cuts our cost in mailings. Your email is secure for just classmates to email you a note. If you see your name join the site by clicking on your name. Complete your Profile and Contact info. If you have questions about joining take a look at First Time Visit. 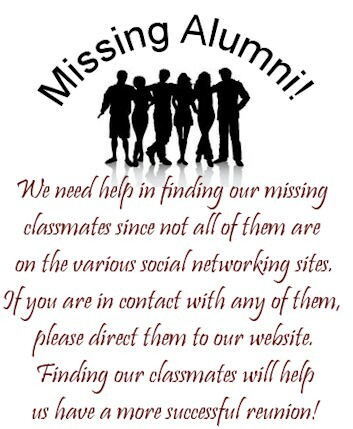 Contact Us and request your name be added if you are a graduate of the class of 1962, or you want to be a Guest or was a Teacher of 1962. We will confirm you a class member, guest or teacher, and let you know. Look for a note from info@WichitaWest62.com - Karen Kelly, Webmaster.